MultiCam has taken their expertise in other CNC machine technologies and applied those to versatile CNC laser cutting platforms. 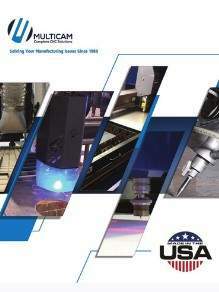 High quality laser machining offers unique advantages over other cutting technologies, allowing the user to cut highly accurate parts with excellent finish and minimal wasted material. 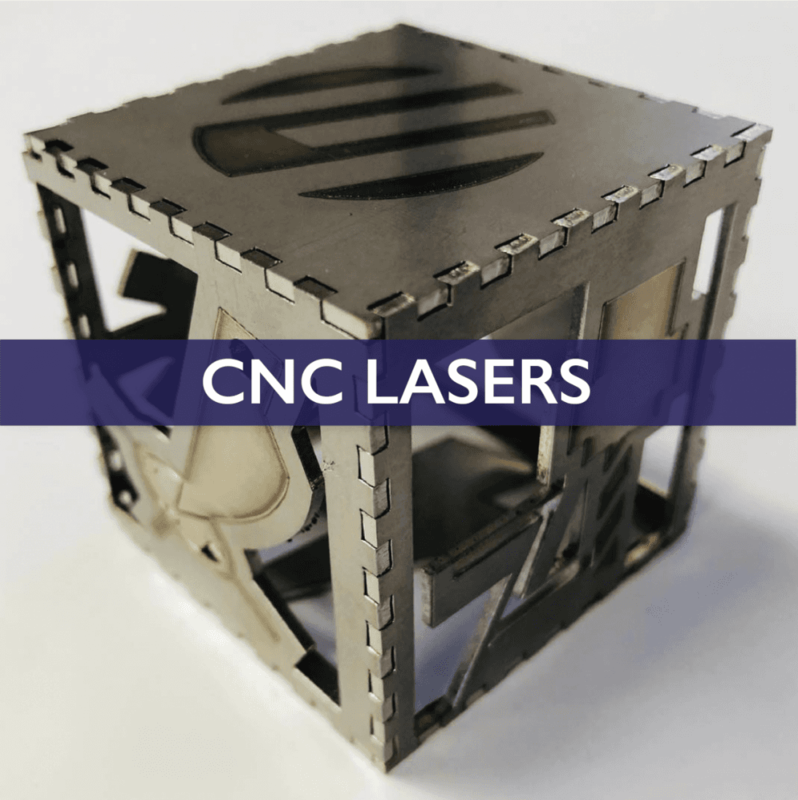 What are the common uses of a CNC laser system? Cutting – Laser cutting is typically used in the production line and for industrial manufacturing applications such as cutting flat-sheet, structural and piping materials. Laser cutting uses a computer to direct the output of a high power laser at the material to be cut. The material then melts, burns, vaporizes away or is blown away by a jet of gas, leaving an edge with a high quality surface finish. Engraving – Laser engraving is a very technical and complex technique whereby a computer drives the movements of the laser head to engrave or mark an object at a high rate. (Other systems use tool bits to contact the engraving surface, and those bits wear down and need to be replaced regularly.) Materials like polymer and novel metal alloys are specially designed for laser engraving, but marking can be a preferable alternative when the customer does not want to physically alter the surface of the material. Laser engraving machines can mark materials using such techniques as printing, hot-branding and laser bonding, which would normally have been done by other processes. Rastering – Laser rastering imprints an image on the material surface with the depth primarily controlled by the motion speed and the laser power. This image can be in picture file formats such as BMP, JPG, TIFF or GIF. The rastered image can be very eye-catching, especially in 3D, when processed in materials such as acrylic, wood, marble or other coated materials. Even materials that are commonly unable to be processed by cutting or engraving can be plated or coated with a special cover to help with the rastering process. What materials are lasers used on? Acrylics – All cast and extruded acrylics can be processed with amazing results. The cut edge is left with a firepolished finish, reducing the need for a post-process after machining. Woods and wood products – The laser cutting on wood and wood products leaves a charred cut edge but a very small kerf width, which can provide operators a limitless supply of possibilities. Metals – The maximum power laser offered by MultiCam can cut carbon steel up to 5/16” (7.9mm) and stainless steel up to 5/32” (4.0mm). Unlike the high kilowatt systems, the sealed tube design of the CO2 laser maintains a very low daily cost of operation. Marble/Granite – The 2000 Series Laser cannot cut through but can imprint amazing quality images on the surfaces of marble and granite. Polycarbonate – Thinner polycarbonate materials (e.g., Lexan) at 0.04” (1.0mm) can be laser cut with a dark brown to black cut edge. Read this blog post to learn more about why choosing a CNC laser could be the right choice for your business. If you’re currently cutting with a CNC laser, check out Synrad Laser’s Laser Application Calculator to help determine your ideal cutting speeds. 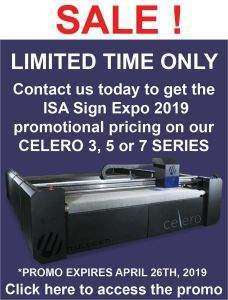 Curious about how your business can harness the power of lasers to increase productivity and to enhance your product offerings?